Investigators launch examination of prison over controversial photos | Russian Legal Information Agency (RAPSI). MOSCOW, November 7 (RAPSI) – The Investigative Committee’s department for Amur region has organized examination of a penal colony after media published photos of an inmate, convicted in the infamous criminal case over mass murder in Kushchevskaya village, violating prison rules, the press-service of the Committee has stated. Investigators noted that the Committee’s head Alexander Bastrykin personally ordered the central department to oversee the examination. According to media reports, prison staff provided mitigated imprisonment conditions for Vyacheslav Tsepovyaz, member of Sergey Tsapok’s gang. In particular, the photos depict him eating caviar in penal colony. Authenticity of these photos was not disputed. 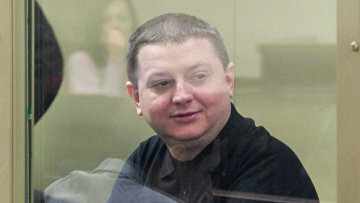 In 2013, Russia’s Krasnodar Regional Court found Sergey Tsapok guilty of mass murder and sentenced him to life in prison in connection with the attack. Tsapok and his group have been found guilty of other numerous crimes, including grave and exceptionally grave ones. Tsepovyaz, member of Tsapok’s gang was sentenced to nearly 20 years in prison. 13:59 07/11/2018 The Investigative Committee’s department for Amur region has organized examination of a penal colony after media published photos of an inmate, convicted in the infamous criminal case over mass murder in Kushchevskaya village, violating prison rules.